This paper calls to remembrance an older world of the 1490s, one not often revisted by students of the Age of Discovery. This excursion offers a new path towards the better understanding of the Europeans of the fifteenth and sixteenth centuries through the reexamination of the international chivalric culture of christian Europe. In the case of chivalry, pejorative judgement has distracted us from a striking process of creative adaptation. This paper’s first goal is to give some idea of the atmosphere of the decade, of the pervasiveness of this chivalric element. Chivalry functioned as a medium for international understanding and communication, a common social, cultural, political, and even religious language. It also provided an arena of competition between individuals and groups. This study stresses the international character of this literature, and of this European chivalric ideology, with, of course, important national variations. To appreciate the wide geographic range of the evidence, broad international studies and discussions are needed. Here, attention is really focused on a subspecies: the European, Christian chivalry of the 1490s. The broadest international study would also touch upon the contemporary chivalries, or warrior codes, of the Islamic world, Japan, China, India, Africa and the Americas that were then in the process of encountering one another. 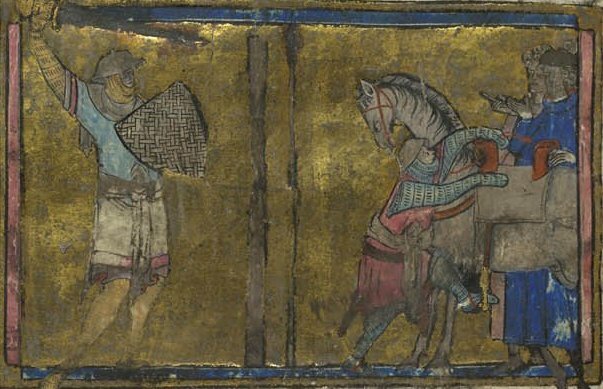 While comparative feudalism received some attention from historians in the 1970s, the comparative study of chivalry has received far less consideration than it deserves. The age of discovery, when military aristocracies across the globe confronted one another, in many cases quite unexpectedly, provides a critical moment to examine these warrior codes as they experienced each other. It is tempting to assert that in no other period is a comparative approach more appropriate on historical grounds. Not perhaps coincidentally, the earliest comparative study of two chivalric systems that I have encountered so far was undertaken by that problematic historian, the Inca Garcilaso de la Vega (1539-1616), who set out in Book Six of his Comentarios reales to draw explicit parallels between the knightly codes of his Spanish and Inca ancestors. Because of the formidable language barriers that impede most modern scholars, such a project demands exchanges between specialists in African, American, Asian, and European cultures of this period. Only through such discussions can any parallels and distinctive features of each system be appreciated.